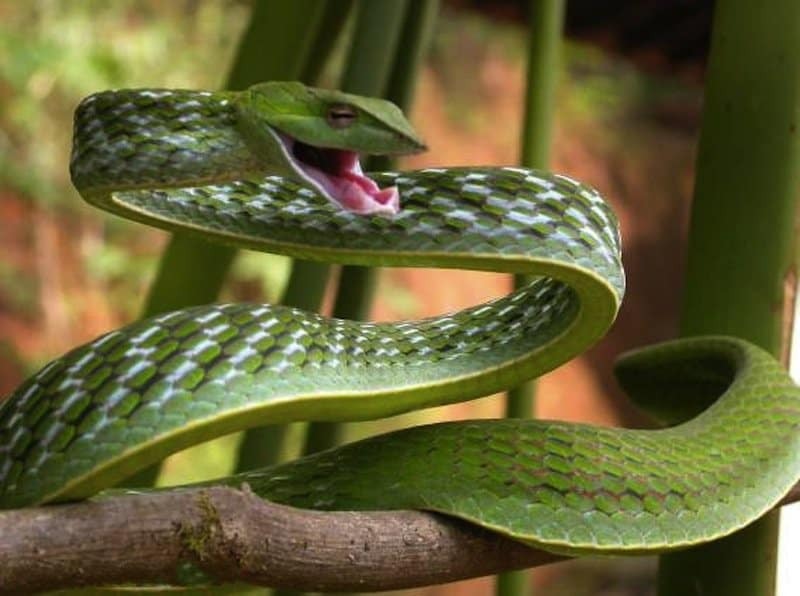 Found in rainforests of southeastern Asia and India, these snakes are skilled gliders. When they want to glide, these snakes essentially flatten their bodies to make a concave wing and launch themselves. They slither in the air while gliding, which gives them some measure of control. The most interesting thing, however, is that they are better at gliding than flying squirrels. 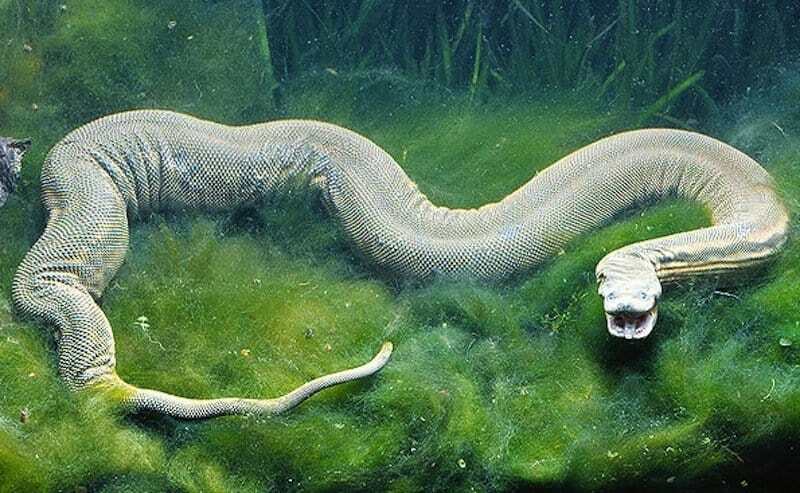 These aquatic snakes are found in the waters of southeastern Asia. They have tentacles on their noses that are highly sensitive to disturbances in the water, which is how they detect prey. Also, they feint when attacking prey. They drift in one direction to trick prey into fleeing another way, and then they strike the prey in its anticipated retreat. This is another snake that lives and hunts in trees. They have long appendages on their noses. The males have long, tapering snouts, while the females’ noses are leaf-shaped. They have a funny quirk, however: sometimes when they’re waiting for prey, they’ll simply dangle from a tree’s limb. 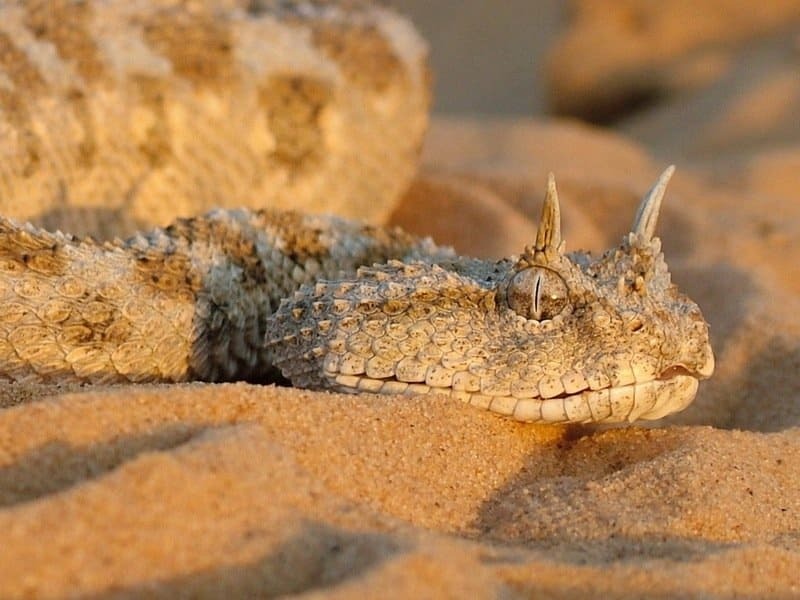 These snakes often have a pair of horns over their eyes, and they can be found in the deserts of the Middle East and Northern Africa. They are adept at using camouflage – they’ll often burrow under sand and lie in wait for prey. What’s more, when horned vipers do actually move around, they slither sideways to confuse prey and predators. These little guys are the world’s smallest snakes, reaching only about four inches long, and are approximately the width of a noodle. They are often found in the Caribbean, especially on the island of Barbados, and they usually eat ant larvae or termites. 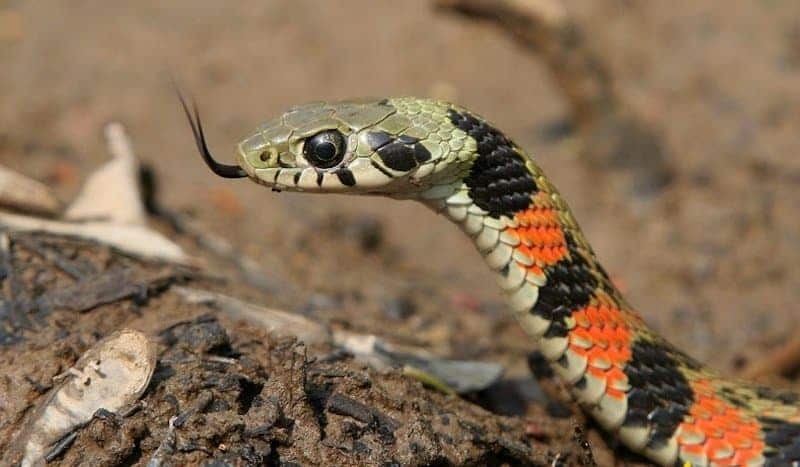 This snake usually lives underground in parts of Africa. Their most peculiar trait is their flexible and venomous fangs. When a burrowing asp is ready to strike, it extends its two fangs from its mouth, and it can do so even when its mouth is closed. Also, their fangs can be moved independently of one another. 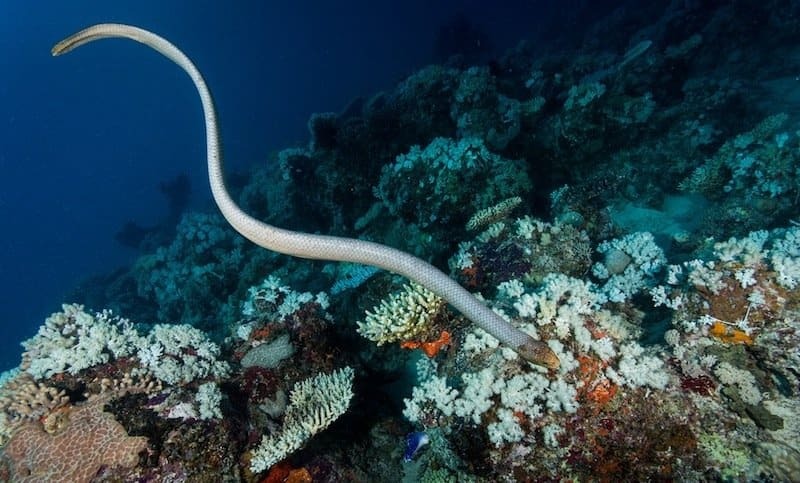 In general, sea snakes hunt by scoping out crevasses, cracks, etc. However, to keep an eye out for predators, golden sea snakes have developed photoreceptors on their tails, which allow them to detect light variations caused by nearby creatures. 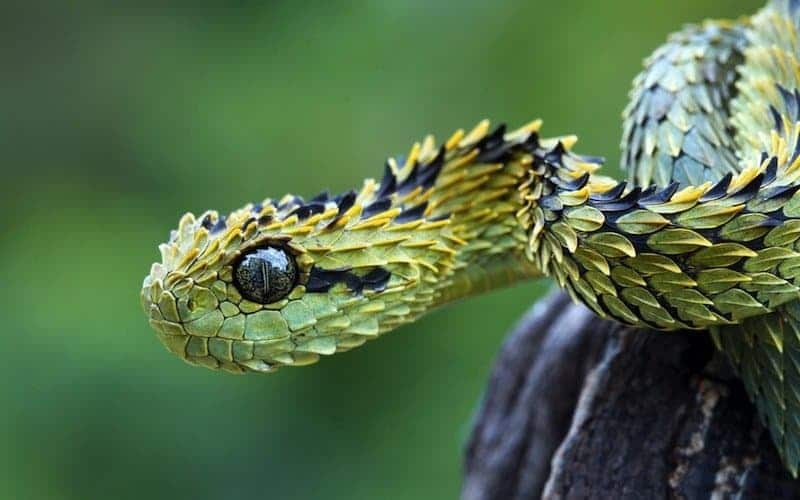 So essentially, golden sea snakes have extra sets of eyes located on their tails. 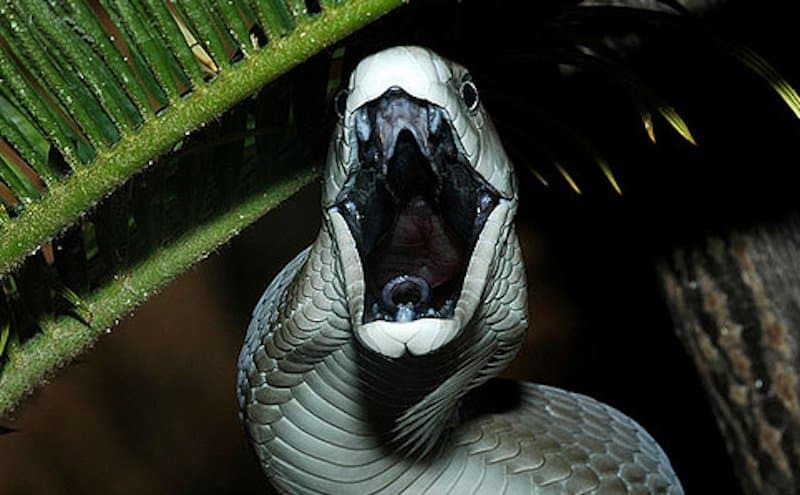 Black Mambas get their name from the color of their mouths, which are inky-black. 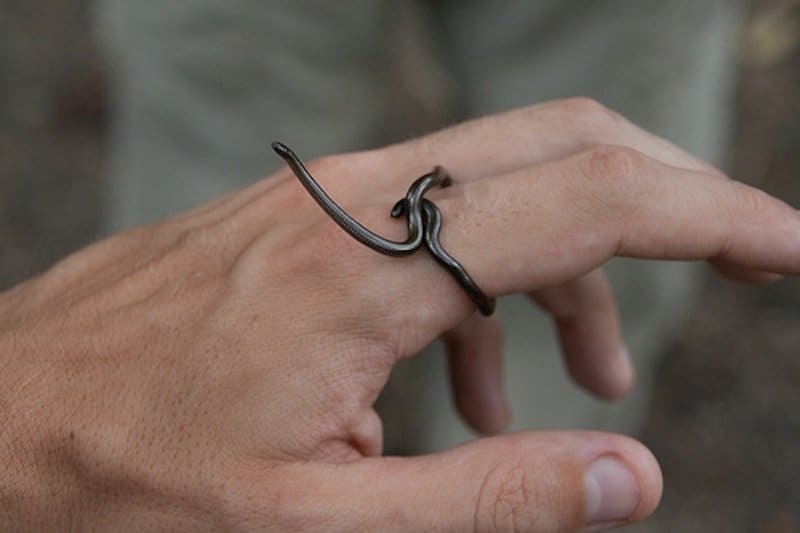 They are highly venomous – and a bitten human will likely die in 7-15 hours if anti-venom is not used. 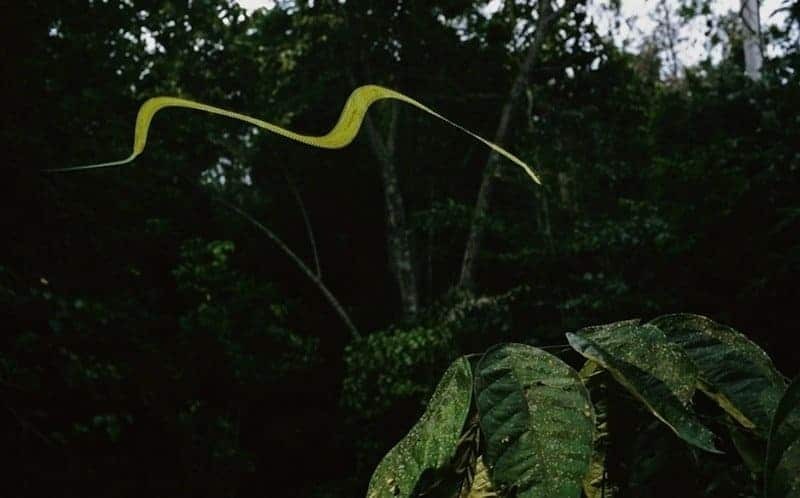 If that’s not freaky enough, then know that they are arguably the fastest snakes in the world. Luckily, however, they tend to avoid confrontation. 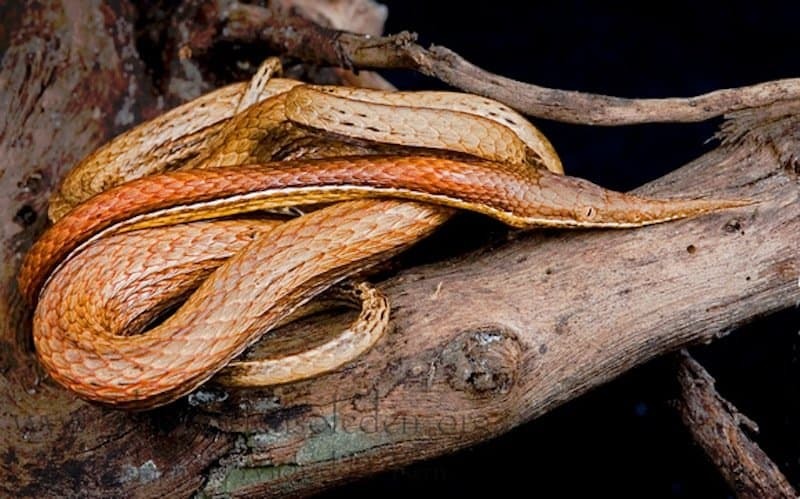 These snakes might possibly have the coolest tail appendage in the world, which essentially looks like a spider. The appendage is not used to appear intimidating, but rather to lure prey that eat spiders. One of the most famous and frightening snakes of all time, king cobras actually have mild temperaments. They hiss and flare their hoods when threatened, but they prefer to flee rather than attack. 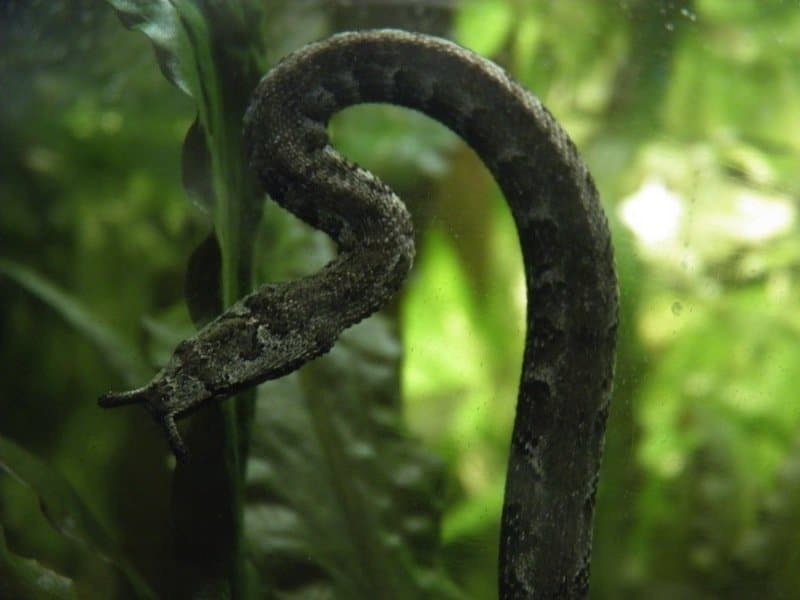 These snakes actually prefer to feed on other snakes, but are known to feed on other small rodents if food is scarce. 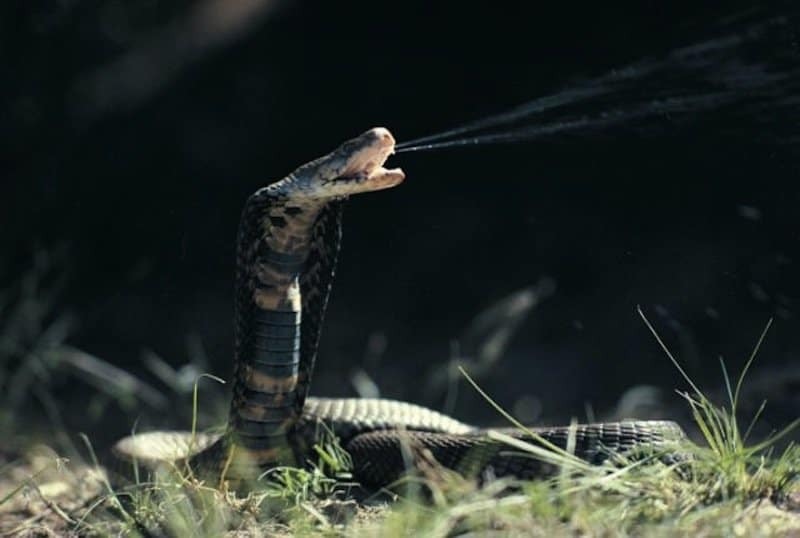 Spitting cobras consist of several species. 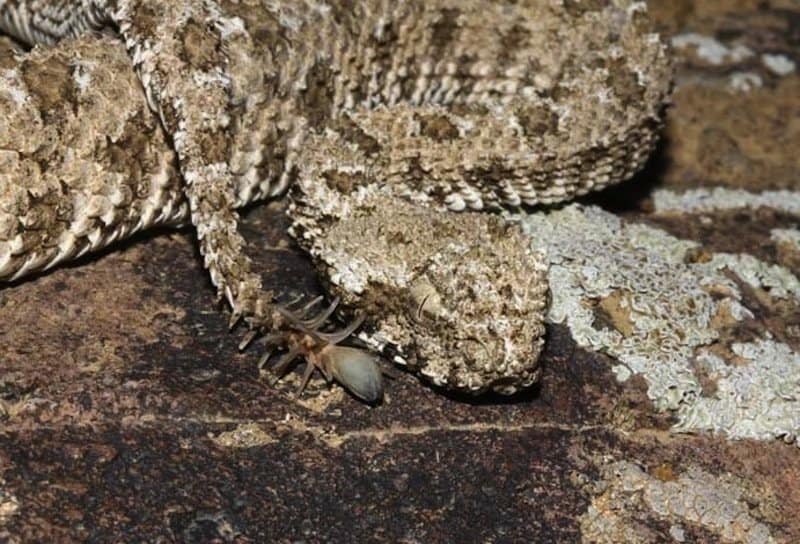 They generally spit their venom as a defense mechanism, and their venom is only effective if it hits another animal in the eyes. They are extremely accurate, however, as they actually “lead” shots by anticipating a target’s movement. 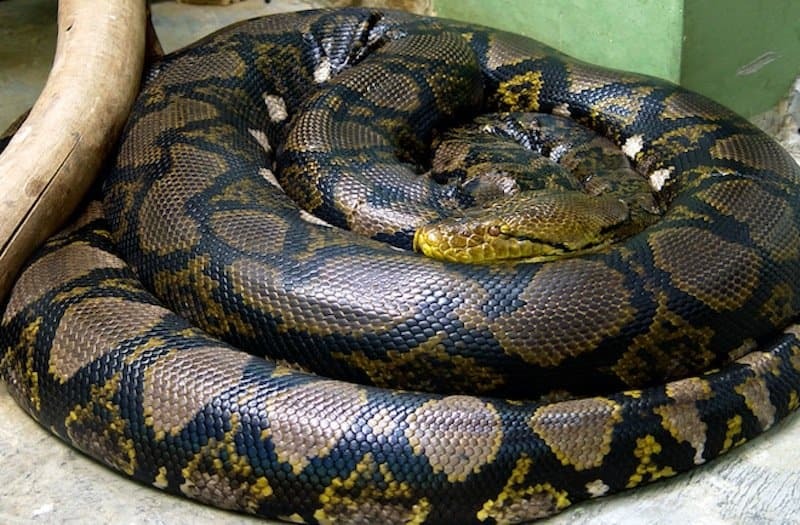 Often found in southeast Asia, it is currently the world’s longest snake, as they grow to reach around 28 feet long. 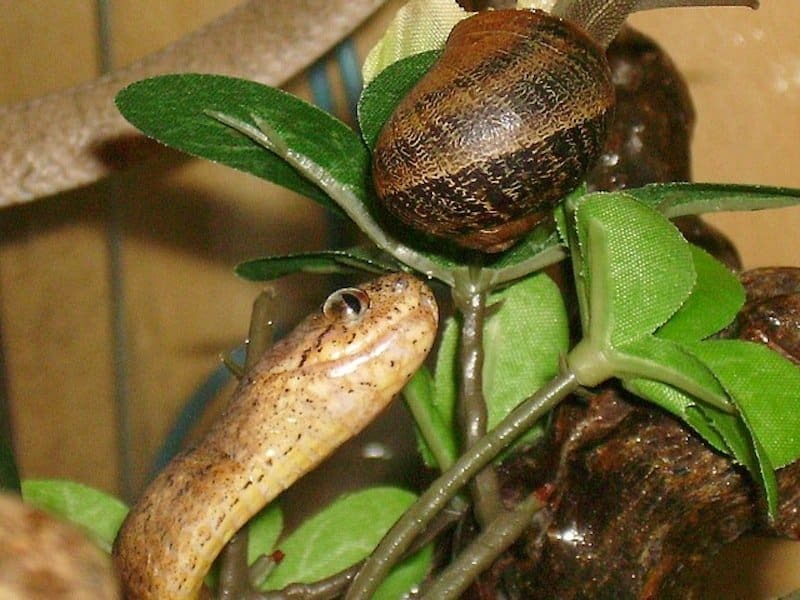 This snake has a certain affinity for snails – so much so that it doesn’t eat anything else. The peculiar thing is that these snakes only feed on snails with clockwise-shaped shells because their jaws are asymmetrical. 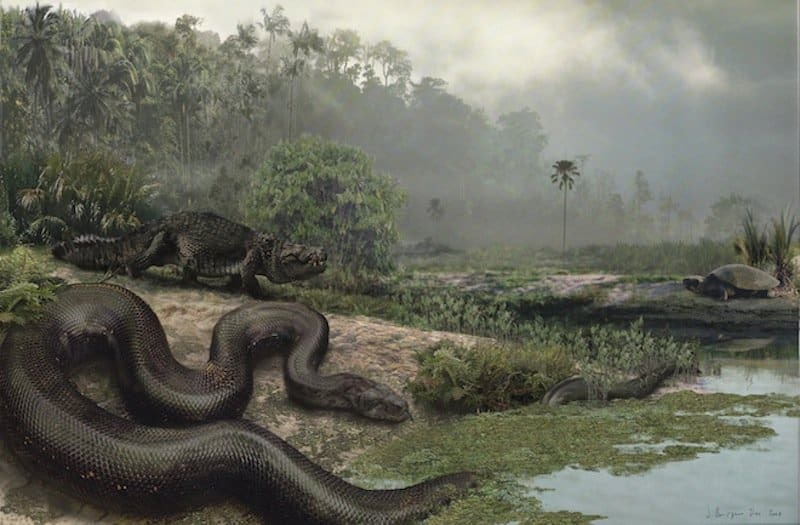 Don’t worry, these snakes don’t exist anymore, but they hold the record for being the largest snakes to slither across the earth. They lived during the dinosaur era and fed on young dinosaur hatchlings. Their body lengths reached up to 40 feet, and often weighed around 2,500 pounds. 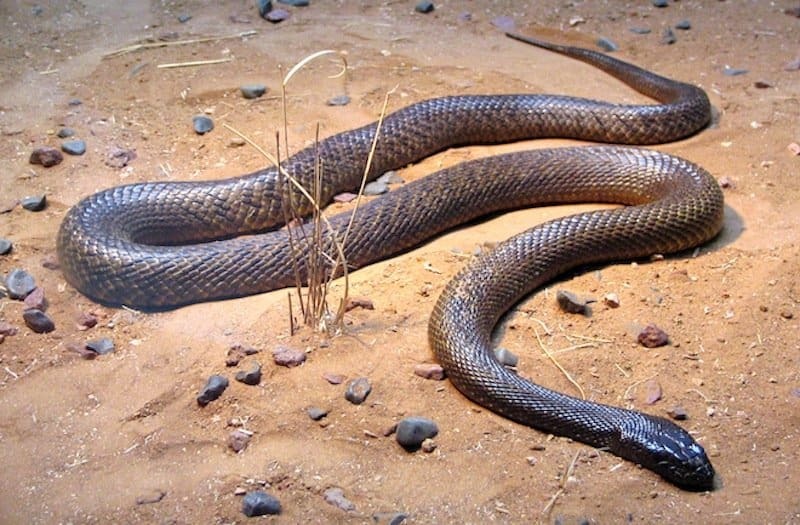 These snakes are found in Australia, and they are the most venomous land snakes currently known. 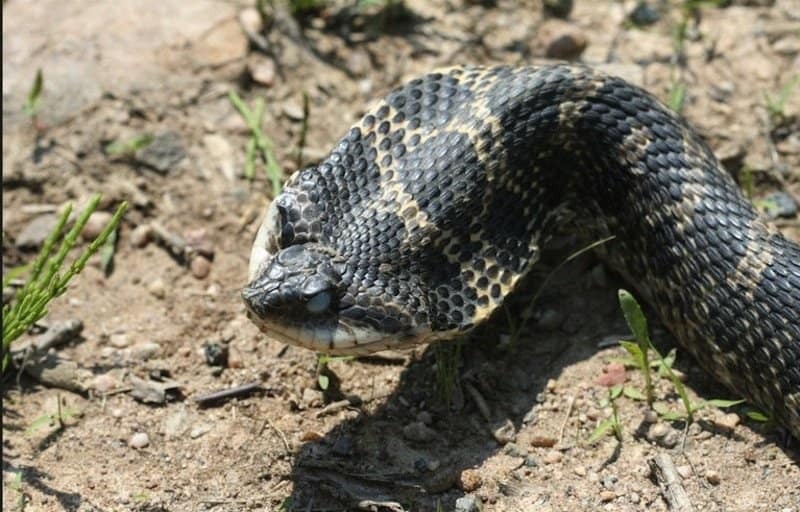 Their bites convey about 110mg of venom, which is a cocktail of neurotoxins. Luckily, however, there is an antidote for humans – if they seek help quickly enough. 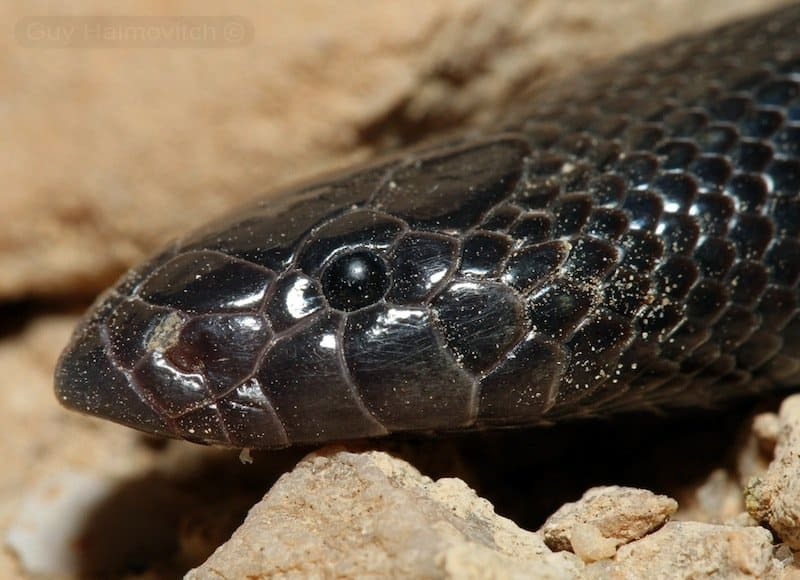 These snakes have upturned snouts that they use for digging, but their most peculiar trait is that they’re bluffers. 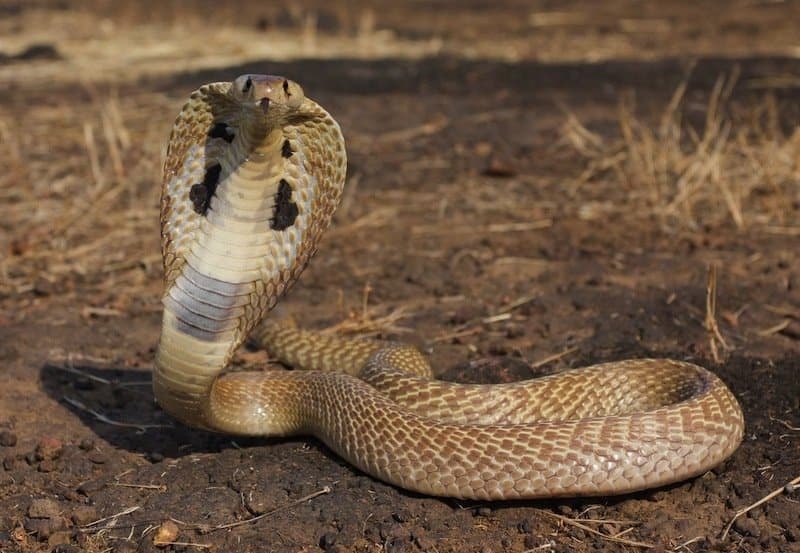 When threatened, they flare their heads like a cobra and also strike – but those strikes are only head-butts. If this bluff doesn’t scare off a predator, these snakes will flop onto their backs and play dead. They’ll also let their tongues go slack and also emit a foul odor.